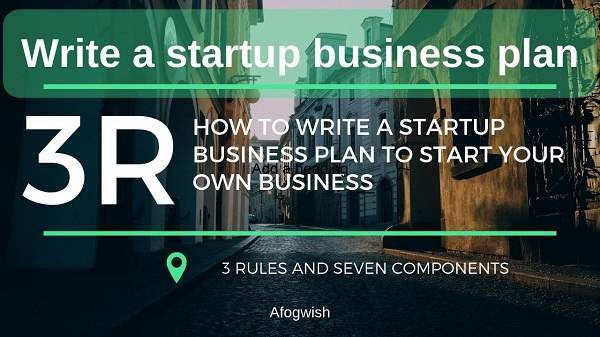 Write a startup business plan to Start Your Own Business with 3 rules and seven components. Try to keep it short. Write your business plan to use that language, your audience will easily understand. Really the vast majority of business owners and entrepreneurs are not business experts. Just like me, I am learning as I go and don’t have degrees in business. Degrees mean, I am trying to say as like Previous any success with any other business as an owner. Writing a startup business plan may seem like a barrier to big, But it will not be. If You know your business plan well because you’re the expert on it. For that reason writing a summary business plan alone, and then leveraging your business plan for growth, it won’t be nearly as challenging as you think. Until you have a spectacular track record as an entrepreneur Or without the exception of a great new business, you cannot increase your capital without a good business plan. My one friend told me he started investing in startups in 2001 and have seen plenty of business plans. 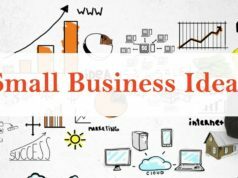 Remember, your startup business plan here is a tool to help you build a good business, this is not just a homework assignment. The executive summary is basically the elevator pitch for your business. It distills all the important information about your business plan into a relatively short space. It’s a high-level look at everything and should include information that summarizes the other sections of your plan. One of the best ways for it to approach writing the executive summary. Writing the first full business plan. So you can include important ideas from other sections. It’s a brief description of your business and your plans. Read more: 5 small business ideas for women Entrepreneurs. In this part, this is the opportunity to describe your company and what it does. Include a description when your business was formed and your mission statement. To answer some other more questions you can describe the business description. For example: What is the business model? Where are you located? Who are the principals? What is your projected growth? If you are going to do a market analysis, start with some research. First, identify your market segments and determine how big each segment is. A market segment is a group of people (or other businesses) that you could potentially sell to. As you create your market analysis, you need to make sure to include information on your core target market, profiles of your ideal customers and other market research. You can also include testimonials if you have them. Also Read: How to choose right digital marketing agency? Use this section of your business plan to show off your team superstars. In fact, there are plenty of indications that your management team matters more than your product idea or pitch. Make sure you highlight the expertise and qualifications of each member of the team in your business plan. You want to impress. How will you raise money with your business and make profits a reality? You answer this question with your sales strategy. This section is all about explaining your price strategy and describing the relationship between your price point and everything else at the company. Here’s where you ask for the amount of money you need. Make sure you are being as realistic as possible. You can create a range of numbers if you don’t want to try to pinpoint an exact number. Include information for a best-case scenario and a worst-case scenario. You should also put together a timeline so your potential funders have an idea of what to expect. Finally, the last section of your startup business plan should include financial projections. Make sure you summarize any successes up to this point. This is especially important if you hope to secure funds for the expansion of your existing business. Next articleHow to start a business be your own boss? Fountainhead of Afogwish Blog, started Afogwish as a passion. Life motto: There is no elevator to success, require the steps! You could Smile while you have the teeth. I love listening to music and am a tech enthusiast. As a passion here at Afogwish blog I write about WordPress, SEO, Social-media, and Making Money online.